>> Did you know that there are 3.5 billion searches performed every day on Google? That means that no matter your line of work, people are searching for your business online. The above is true even if you’re a teeny tiny business or a massive multinational. 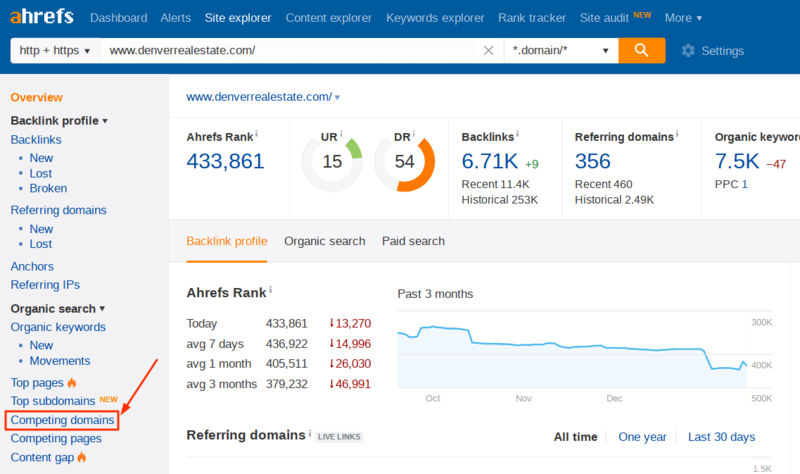 A quick note: here at Rebel Zoom Digital, Ahrefs has to be one of our favorite SEO tools. They also conduct in-depth case studies and provide actionable SEO tutorials that show you how to increase your organic search traffic and rank #1 on Google. In this featured article, we’ll be taking you through their data-proven reasons why SEO is such a crucial element in the marketing mix. Did you know that there are 3.5 billion searches performed every day on Google? That means that no matter your line of work, people are searching for your business online. But even for this super specific query, there’s actually a lot of competition. Look how many search results Google returns for that term. I’ll tell you now: only a handful of those ~4.1m businesses are even visible. The rest are tucked away in the safest spot for hiding a dead body—the second page of Google, and beyond. What makes the difference between total obscurity and ranking for a keyword that sends you customers on autopilot? SEO. Search engine optimization. The process of proving to Google that your page is the best, most relevant result for a particular query. Choosing just one page of results from 4 million options is a tough job for any machine, even Google. To decide, it looks at factors like the words you use in your content, your content’s structure, and where else it is referenced on the web. Nail these factors, and you’ve won a constant organic source of leads courtesy of the world’s largest search engine. What exactly can you expect if you start putting effort into SEO? How can you be sure it’ll be worth the investment? I bet you’ve heard myths that need busting, and have a ton of questions about what’s in it for your business. Ok. Hold my can of link juice. I’m going in. Last year, we studied almost a billion web pages to see how many of them are totally invisible—i.e., receive no organic search traffic whatsoever. Do you want to be in that invisible ~91%? 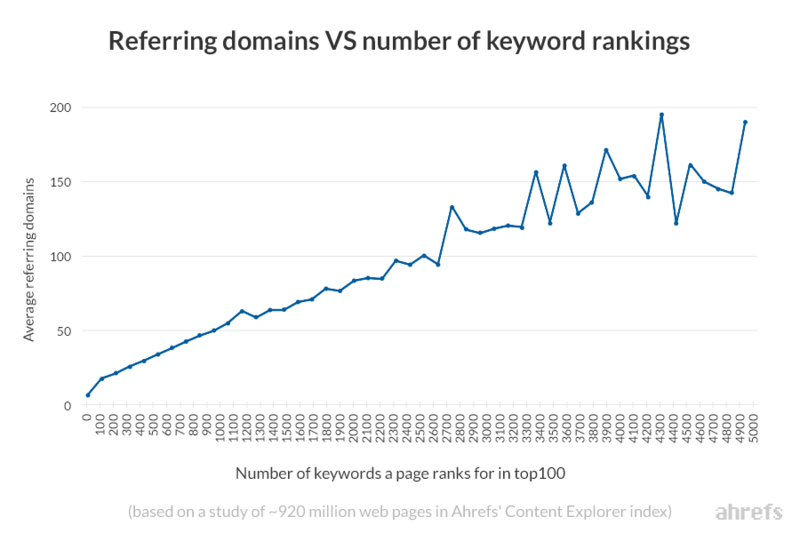 Without SEO—a big part of which is earning links from unique websites (referring domains) to your site’s content—it’s likely where you’ll end up. If you’re sitting at the intersection of 0 and 0 in that chart, it’s not where you want to stay. 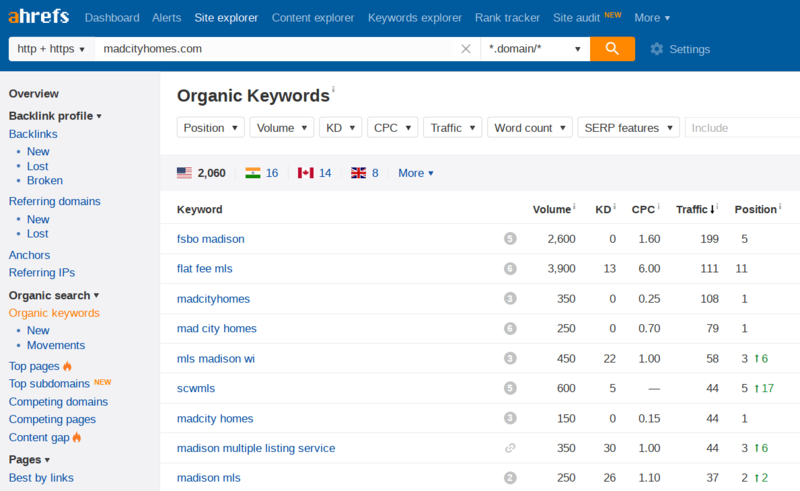 Organic traffic comes from your site ranking for keywords in search, and you usually need at least some referring domains to do that. Correlation ≠ causation. However, we know that Google’s ranking algorithm relies heavily on backlinks and always has done. Read this post on PageRank to learn more. What this shows is that SEO best practices—e.g., link building—are crucial if you want more traffic from Google. PPC and other marketing tactics can send traffic, but as soon as you stop investing your time, effort or money in them, traffic fades to nothing. Rand Fishkin calls this the spike of hope followed by the flatline of nope. You can see that there is still a spike of hope (Two, actually. One when we originally published it, and one when we completely rewrote it in April 2017.) These are the result of us promoting the article to our audience. But there’s no flatline of nope. That’s because the article ranks in Google for some super‐relevant and high‐volume terms. 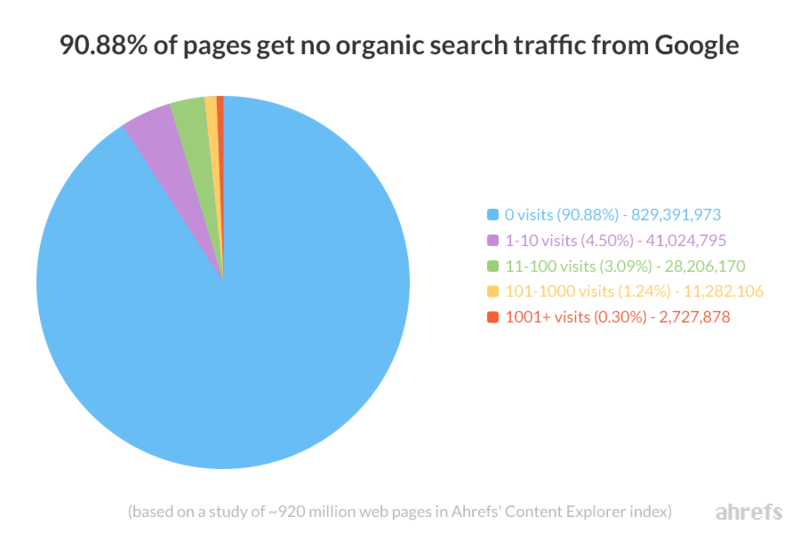 In other words, organic traffic has staying power. It’s sustainable! But you could also say that about PPC, right? I mean you could just pay for Google Adwords ads in the long‐term and continue to attract traffic from Google. True, but there’s a big caveat that we’ll talk about in point #5. Organic traffic is sustainable as long as you target a topic with organic search traffic potential. I.e., a topic that people are searching for, month after month, in Google. Let’s assume that you worked hard to rank #1 for how content marketing drives sales. Well, I’m afraid you wouldn’t get any organic traffic because this keyword has almost no search volume. Yes, that’s true. 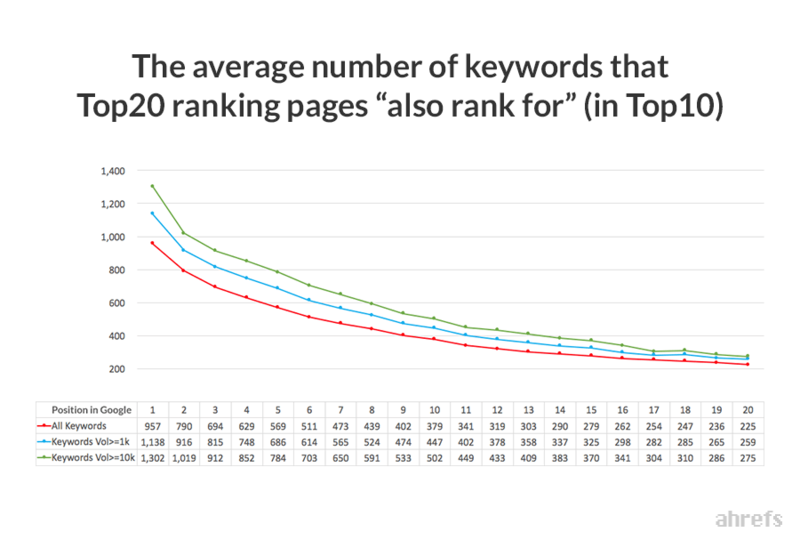 In fact, we found that on average, the #1 ranking page for a keyword also ranks for ~1,000 other keywords. But although this is true, in this instance the topic still has almost no traffic potential. We can confirm this by scrolling down to the SERP overview. 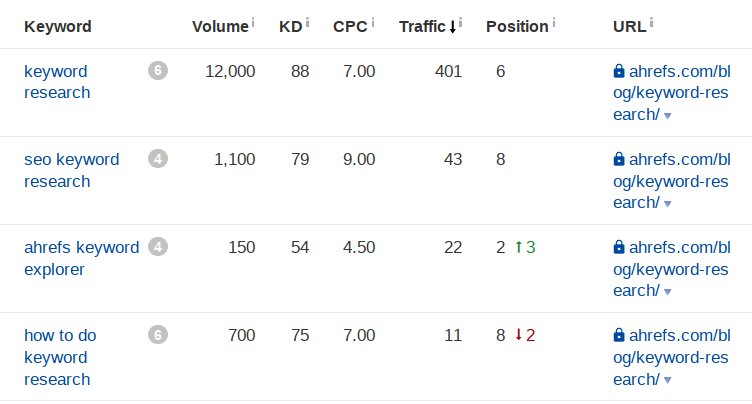 You can see that none of the top‐ranking pages get much traffic or rank for many other keywords. Contrast that with best laptop bags for women. Bottom line: In order to avoid the flatnote of nope, SEO is important, which also means making sure to target a keyword with search traffic potential. Learn more in our full guide to keyword research. Many of your prospects almost certainly turn to Google when they have a problem. But the way they express it might be different depending on how aware they are of their own problem and the available solutions. A couple of weeks later, this same searcher has heard about sales automation in an article they found, and realized a product exists that can send deliverable emails, check open rates, and more! Now they’re narrowing their research. They’re at a different stage of the buyer’s journey, searching terms like ‘best sales outreach tools’, or even for brand names and specific technical features. If you can rank strategically for content that answers very specific enquiries—the kind that you know your customers have, and search for—then it’s as if you magically show up every step of the way and cement your brand into your prospects’ minds. Often, these specific lifecycle‐dependent queries that I’m talking about (like “compare microsoft office 365 features and g suite”) don’t have a whole ton of search traffic by themselves, but make up the vast majority of the kinds of searches performed online. 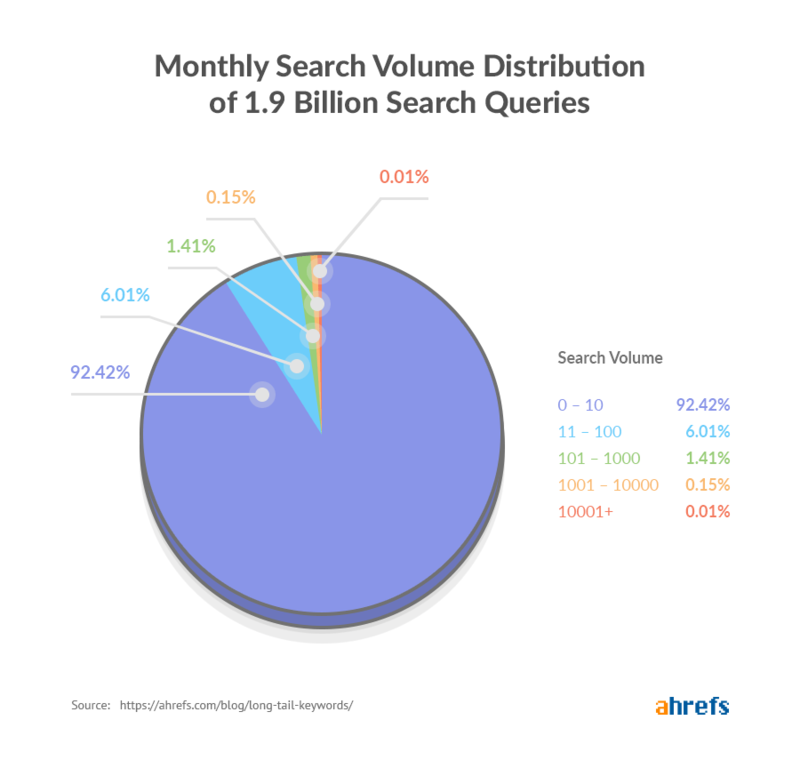 What that chart tells us is that over 92% of searches are for keywords that have a monthly search volume of less than 10. This huge slice of pie is where you can get a lot of SEO value. 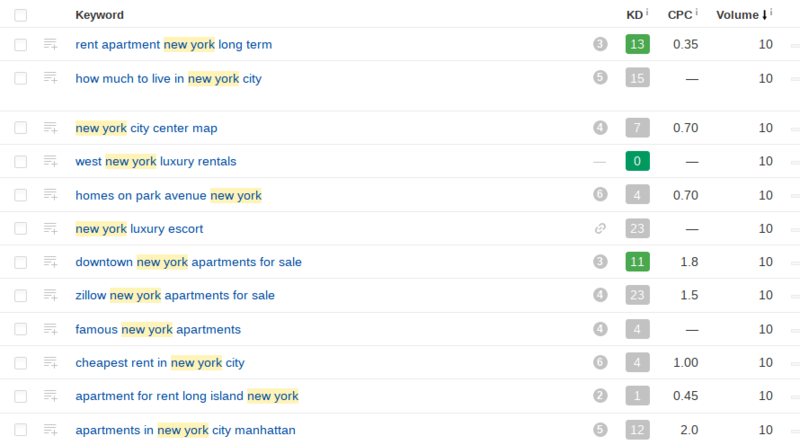 Check out these super‐specific queries relating to New York real estate below. Many of them represent small but high‐converting pockets of leads, and reveal the desires of the market. Each one could be the target keyword for a page or post on a site from the right industry. When you create content that addresses the buyer’s need at their specific journey stage, that usually means it is more relevant to their interests. The result? 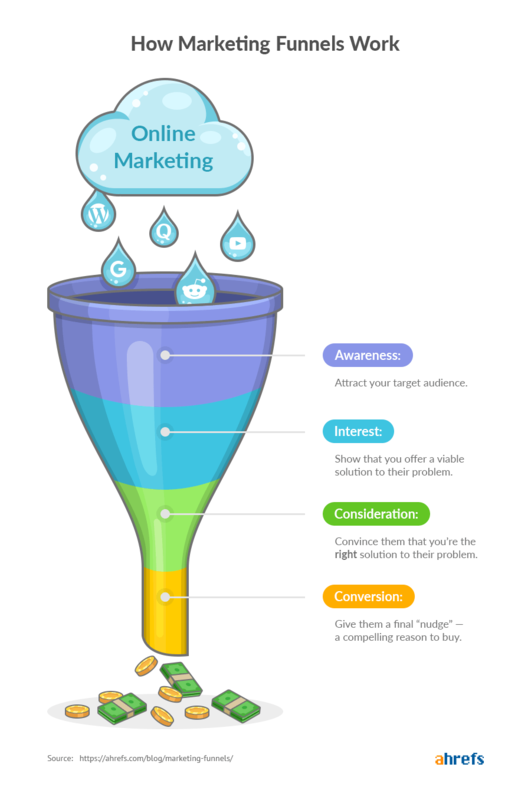 You’re able to unlock the potential of these crucial moments in the buyer’s journey with SEO. Most clicks overwhelmingly go to organic results, and in my experience, this is especially true for informational searches—which make up the majority of the keywords you’ll likely be targeting, at least with the Tofu and MoFu content in your marketing funnel. So, even if you have an unlimited Google AdWords budget (I’m sure you don’t), you ain’t going to get anywhere near as much traffic from bidding on certain keywords as you would from ranking organically for those same keywords. 4. Your competitors are already stealing your business by doing it. Whether you’re an internet business or local store, if you’re not on Google for your niche’s top keywords, then you can guarantee that someone else is. If you’re just running social ads or trying to get distribution from Twitter, then you can also guarantee that your competitors are eclipsing you where it matters. SEO is 10x more effective than social media. It is responsible for 51% of website traffic, and generates 40% of revenue. Even ranking partway down page one can mean that your competitors are still stealing the majority of your business because the #1 result almost always gets the vast majority of total clicks. But if you do happen to rank #1, then that’s the majority of everyone looking for say ‘san jose plumber’ finding you. If we assume 30% of clicks go to the #1 result (which isn’t particularly abnormal), that equals around 200 visitors a month if we look back at the keyword’s volume earlier in the post (600 monthly searches). If you’re at the bottom of the result, it might only mean a couple of new leads monthly. That’s why it’s essential to start now. The uneven playing field you’re on right now is not necessarily a bad thing, because you can learn from competitors and replicate their strategies. In this report, you will see a list of websites that are competing with yours in the search results. From here, you can check where each domain gets it backlinks. This will help you draw up a list of targets—if a domain links to a competitor, it’s likely they’re willing to link to you, too. 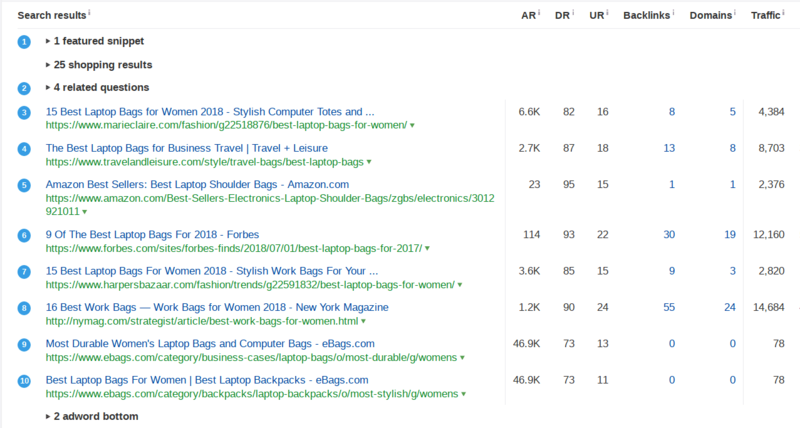 Competitor analysis gives you insight into what keywords are working well for similar businesses and where they get their backlinks, but it’s also a way to steal back traffic and knock your competition down the ranks. There’s only a limited amount of space on the first page of Google. Think of the first page of results like a pie of potential customers. How will you and your competition divide it up? It’s not like there are 10 equal slices. The #1 result gets the biggest slice of pie (about a third of it! ), the #2 result gets the second biggest, and so on. Want to steal customers from your competitors? You need a bigger slice of the pie. 5. Paid search gets as low as 6% of the clicks for a keyword. Let’s have a look at some examples. Who’s actually clicking on paid searches, compared to organic? In this example you can see the distribution of all clicks across paid and organic searches. These figures, based on real user behaviour, show a clear dominance of organic clicks. Another strong win for organic at 85% of total clicks against paid search’s 15%. These estimates are calculated on a keyword‐by‐keyword basis, and are derived from clickstream data. So it would seem that simply paying your way to the top just doesn’t cut it when it comes to Google’s search results—and there are plenty of statistics to support that. That particular study states that most people will ignore paid searches completely, opting for organic results almost all (94%) of the time. Looking further into this, it can be seen that the second and third pages receive an additional combined 5.59% of total clicks. What do we have left? A generous (compared to the above statistic of 6%) 15% of total traffic going to paid search. These studies clearly indicate that holding a long‐term organic position on the first page of Google’s search engine results directly impacts your capacity to benefit from organic traffic. Look at PPC and organic SEO as two sides of the same coin. They’re both a way to appear prominently for the terms your customers are searching. They’re both effective at nurturing leads and converting them to customers. However, SEO is a tactic that doesn’t need a long‐term budget in order to keep bringing in value. You will still need to invest some time, effort and resources into SEO in the long‐term. But unlike PPC, traffic won’t drop the second you cut ad spend. Ranking well for organic searches also suggests to your customers that you are a leader in your niche, and can do wonders for improving brand credibility and reputation. So far, we’ve been talking in grand statistics and generalities. What about some concrete examples you can use for inspiration? Before implementing an SEO strategy, Swedish Fintech company Northmill had just 127 total views on a piece of informational content about tax returns. The content they wanted their audience to see was practically invisible, and anyone who did see it wasn’t converting. After research revealed untapped keywords, Northmill optimized their content to match the terms their prospects actually search for, and saw their rankings spike. 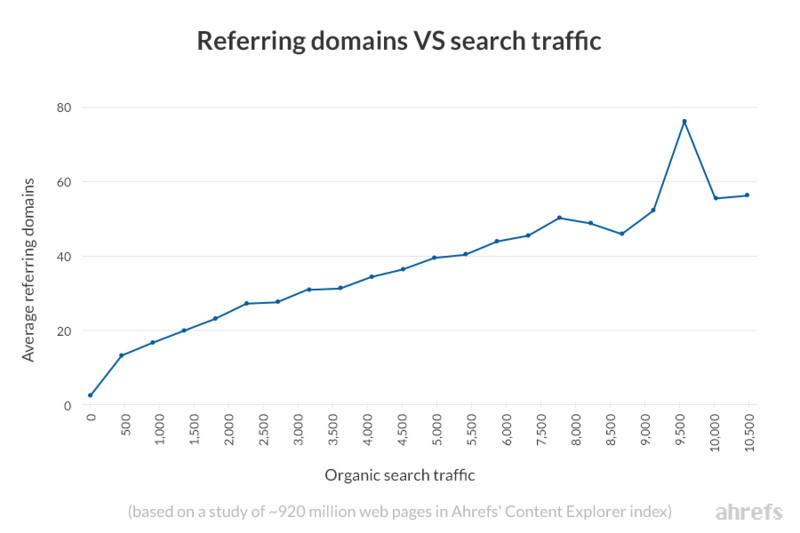 While the chart represents the whole domain’s traffic from organic keywords (the URL doesn’t exist anymore), you can see how much of a difference a SEO can make. With the informational post suddenly getting thousands of views per day, Northmill added a better way to capture leads. This simple call‐to‐action led to almost 300 new customers for Northmill. The company’s search optimization landed them in the top 3 search spots for keywords totalling over 50,000 monthly searches, and a lot of instantly measurable business value, too. Read the in‐depth case study here. 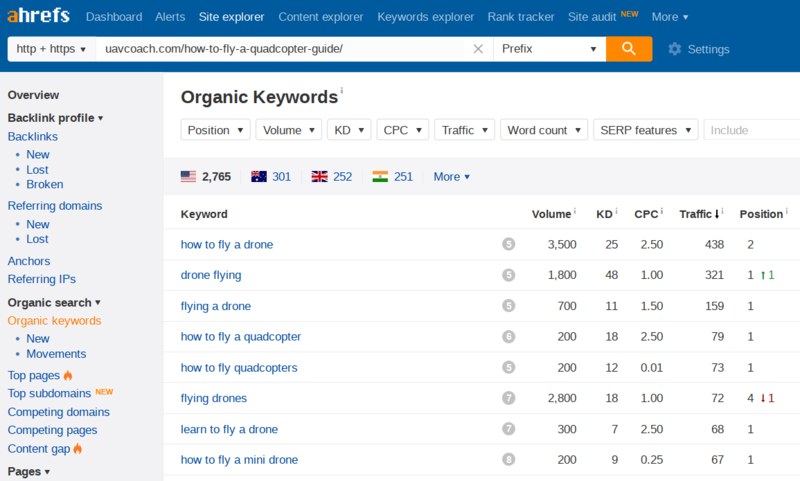 Robbie Richards published this case study detailing how he helped UAV Coach achieve a #1 spot in Google, outrank big name brands like Mashable, and increase organic traffic by 11,065% in just 6 months using a 6‐step SEO methodology. He was able to do this in a niche industry without spending any money at all on paid advertising or link building. Basically, he knew he needed to build an SEO centered strategy based on evergreen content that would help generate long‐term exposure, position the brand as an authority in the industry, capture leads, and ultimately convert them into paying customers. The first post for this campaign, and the focus of this case study, is a 4,400 word guide to safely piloting a remote control quadcopter. It also captured 2,335 emails, making it a prime lead generation asset for the business. With strategic keyword research and competitor analysis, Robbie was able to stay ahead of the game and reap the rewards of SEO. The Ahrefs blog wasn’t always popular. 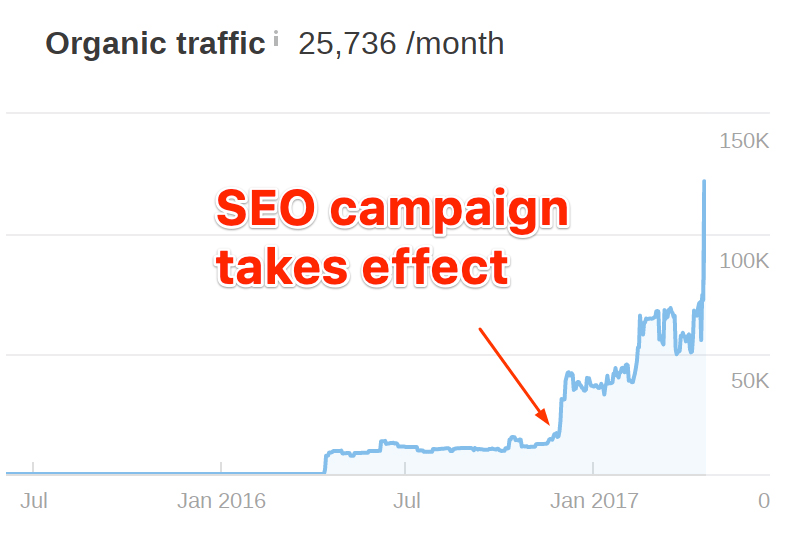 Back when CMO and Product Advisor, Tim Soulo joined in 2015, it had about 15Kvisits per month, and despite publishing 3 new articles every week, traffic was plateauing. Long story short, Tim made the decision to focus on quality over quantity and realized the power in content marketing. As of today, we publish ~2 posts per week and blog traffic has grown tenfold. A big part of this success story is the focus we put on organic search traffic. What does that mean? It means we choose to prioritize content people are actually searching for on a consistent basis, as opposed to one‐shot hot topic articles. This approach ensures a steady stream of traffic from organic search. If these criteria are not met, then no amount of promotion will ever achieve desired results. Organic search is where your audience is already looking. If you’re not there, your leads are finding your competitors instead. A good place to start? Understanding where your competitors are getting their organic traffic. Site Explorer makes finding this data a 10‐second job. The fact that 91% of pages on the internet get no organic traffic means that you get the leg up on your competitors the moment you start making an impact with your SEO efforts. Contact us to find out what the best SEO options for your business are. This article originally appeared on the ahrefs blog and has been reposed here with attribution in recognition of the authors. Please note that some opinions expressed in this article may be those of a guest author and not necessarily those of either RebelZoom.com or ahrefs.com. In some cases, we may edit content to better suit our readers or where it not in alignment with our approach or philosophy.